Our goal is to provide you with the best possible customer experience. Please read the following commonly asked questions and answers before contacting us. Q: Is your site secure?? A: Yes. We use PayPal, the global leader in online payments, for our online payments.. PayPal automatically encrypts your confidential information in transit from your computer using the Secure Sockets Layer protocol (SSL) with an encryption key length of 128-bits (the highest level commercially available). Q: What types of payment do you accept?? A: We accept credit card and debit card payments. If you have a PayPal account you can also use the funds in your PayPal account. Q: Do you accept orders by phone?? A: Not at this time. In order to keep costs down we do not have a retail store and our warehouse does not have a phone. Q: Can I order by mail using a money order?? Q: How long will it take my order to arrive?? A: Orders placed before 10am on a business day will ship that same day if the item is listed as being in stock. If your order is placed on a weekend (Saturday-Sunday) it will ship on Monday. If your order is placed after 10am it will ship the next business day. Orders are shipped priority with the US Postal Service with delivery confirmation. You will receive an email with a delivery confirmation number the day your package ships. Please refer to the Shipping section for details on shipping. Q: In what currency are the prices?? A: The prices are US dollars. If you would like to know how this price converts into other currencies, we recommend that you check an online resource for current exchange rates. The rate you are charged will be close to this rate, but it may not match exactly. Q: Can I cancel or change my order once I submit it? A: Because your order is prepared for shipment soon after you place it, you can't cancel or change your order once you have submitted it unless the items in your order are backordered and will not ship immediately. In this case please email customer service with your order number, name and instructions about the changes you would like to make and we will try to accommodate your request. Q: If something goes on sale after I bought it, can I get a price adjustment?? A: We will give you a price adjustment if you purchased the item within 30 days of it going on sale.Please send an email to customer service to request the discount. Q: Will I receive an email confirmation when my order ships?? A: Yes, you will receive an email with a delivery confirmation number when your order ships. Q: When does backordered merchandise ship?? A: When placing your order we list the availability of the merchandise. If the item is not ready for shipment in the specified availabity listed you will be notified by email. Q: Will you be charging me sales tax on my order? A: We collect sales tax on orders shipped to Texas. A: We strive to ship all in-stock orders placed by 10am Central Time on the same day we receive them. However, due to unforeseen order volume spikes, please allow one business day for our warehouse team to prepare and ship your order. A: For order where items are in stock, we strive to ship orders placed by 10am Central Time on a business day (Monday-Friday) that same day. Orders placed on a weekend (Saturday-Sunday) will ship on Monday. If an order is placed after 10am on a business day it will ship the next business day. We ship USPS Priority Mail which usually takes 2-3 days. Q: What shipping and handling fees will you charge for my order? A: U.S orders ship by USPS Priority Mail with delivery confirmation. International Orders ship by FedEx. Q: Any questions or problems? A: If you have any questions or have a problem with your order, please click here to contact us. We will respond very promptly to your concerns. Q: What is the HoverSphere? A: The HoverSphere is a patented design which allows the sphere to stay aloft, or hover, without floating away. It is filled with helium or air. Q: Where do I get Helium? A: Helium can be purchased at any store that sells balloons. Stores that sell balloons include party stores, florists, and even grocery stores. Dispoable helium tanks can also be purchased from retailers. Q: How much helium should I put in the HoverSphere? A: The HoverSphere should slowly sink when filled with helium. If it sinks to fast try a little more helium. But be careful to not overinflate it. Q: Can I fill the HoverSphere with Air? A: Yes. It will not hover, but you can still have hours and hours of fun with it. Q: How do I fill the HoverSphere? 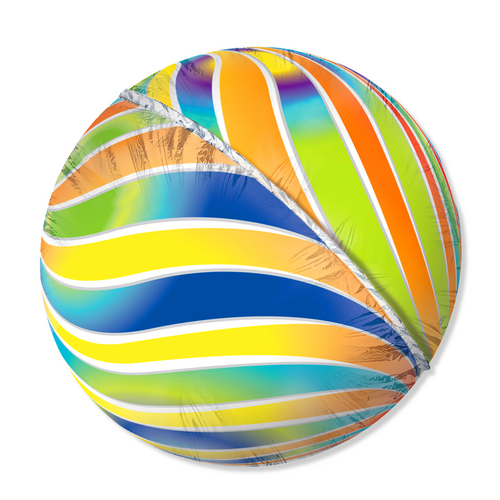 A: We have created a seperate page to help you with inflating your HoverSphere. It can be found here. A: If we haven't answered your question here, please click here to contact us and we will do our best to reply as quickly as possible. You can also check out the links page for links and HoverSphere related topics.